Do You Have Rosacea? Treat It Now With This New Amara Dublin Treatment! Do You Have Rosacea? Stop hiding it and change it! The majority of people who have Rosacea don’t know they have it! They may think its Acne or simply ‘Irish Skin’. 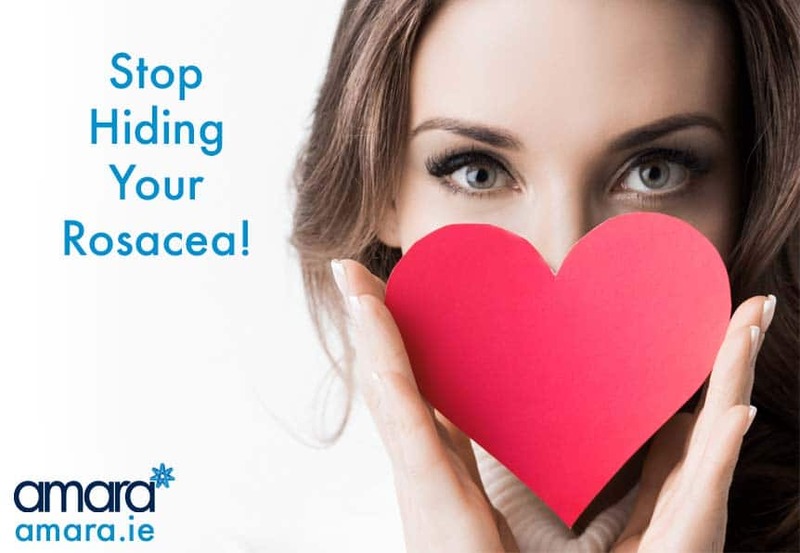 By knowing the symptoms of Rosacea we can maintain our skin and help our Rosacea rather than just hiding it! Probably the most common and known symptom of Rosacea is flushing on the skin typically on the cheeks and nose. Typically this flushing can last up to 5 minutes -typically it is caused by triggers such as food or change in temperature. Skin thickening around the nose is a much more severe form of Rosacea. This is much more common in older men who may have left their rosacea untreated for some time. Dry or peely skin is more typical with Rosacea suffers whereas Acne sufferers would usually have oily skin. How Can We Treat Rosacea? 95% of people who suffer with rosacea don’t treat it ! likely because they don’t know they have it (typically mild). 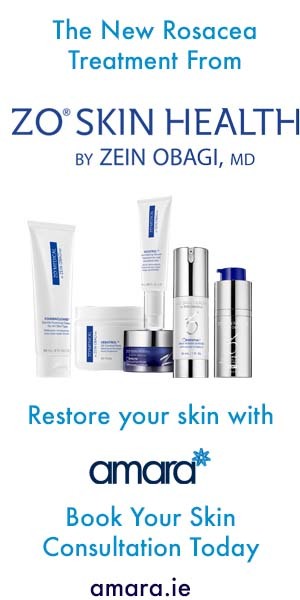 A daily skin regime is essential for all skin concerns. Typically severe rosacea sufferers can be prescribed multiple medicines or pills to counteract the effects. What Products Can You Use For Rosacea? There are a few different cleansers in the ZO Skin Health and Medical Range – Typically for Rosacea suffers the Exfoliating Cleanser or Oilacleanse is used. Both of these contain Salicylic Acid and exfoliate away dead skin cells. Oilacleanse is a much higher strength and depending on your skin and other concerns you may have this may suit you better. The Offects® Exfoliating Polish should be used semi regularly, exfoliating helps renew your skin cells and also helps with any shedding. The Exfoliating Polish contains ultra-fine magnesium crystals exfoliate dead skin cells and encourage a cleaner, smoother, more even-toned complexion. Cebatrol Pads are a must for any Acne sufferer but they are also perfect for clearing the skin of impurities, minimizing pores , smoothing your skin surface and reducing irritation. Cebatrol Pads contains 2% Salicylic Acid and other calming and redness reducing ingredients like witchhazel, sandalwood and Barley. Though all of the ZO Skin Health range can be used to fight most skin conditions Rozatrol™ Normalizing Serum is the first Rosacea specific treatment that sims to normalise the skin for sufferers. An enzyme exfoliator provides mild exfoliation, while amino acids support optimal microcirculation to and prevent the signs of premature aging. Smart Tone SPF 50 – This contains smart tone technology which adapt to your skin. This prevents the white pasty look that can typically be left with high SPF. Oclipse® Sunscreen + Primer SPF 30 – This also acts a mattify make up primer and leaves a silky finish. As well as at home Skin care some in clinic treatments may benefit Rosacea skin such as the HydraFacial MD or Microneedling with the Rejuvapen. This can be considered at a consultation with our Skin Health Therapist. Are you suffering with Rosacea or aren’t sure about your skin? Why not book in for a full skin health analysis and start reclaiming your skin now!